Ready to play and save your country intheTanks battle warcraft 2016? Help your allies to win the battleandsave the companion places. 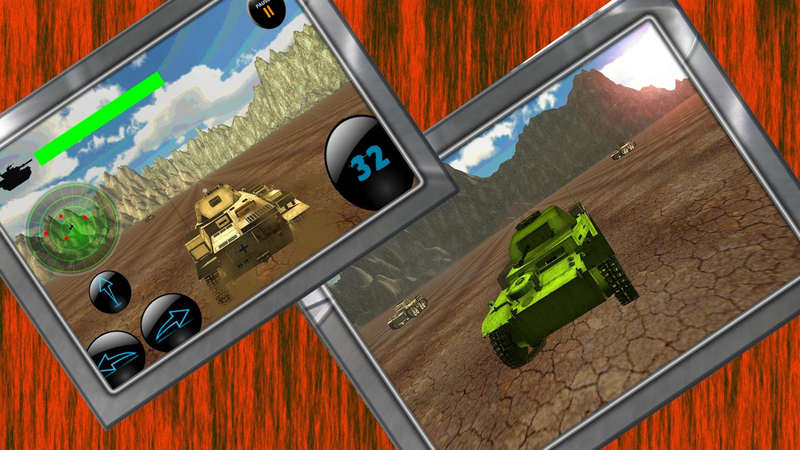 Contains A lot of tanks, and a lot of fun.Fast paced 3D tankactionon your Android phone. Take out your enemies in the battleagainstcunning enemies and become the Tank Hero! 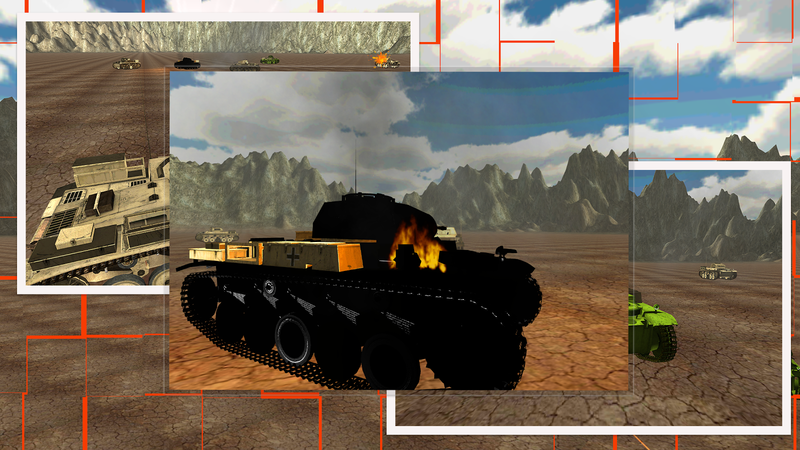 .Storm thefrontlineswith intuitive touch-screen controls built specificallyfor optimalonline mobile gameplay. Join up with your friends or make new ones to take onaction-packedT3E2 , alkett and panzer tank battles no matter whereyou are!Assemble your self and hit the battlefield together,putting yourstrategy and military might to the test.whatever thecost may be,fight on the beaches, fight on the landing grounds, inthe fieldsand inever surrender. 1) Nice 3D deserts and mountains environment. 2) 3rd person smooth controls. 4) In difficult levels assisting Al Alket will help inthebattle. 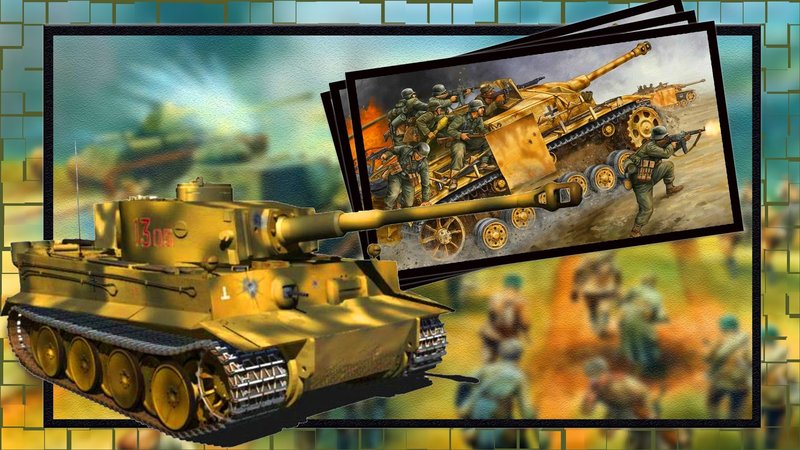 Operation Zarb E AzbAbout the Game –One feels energetic about war front having a will to be in thearmy.For a player to defend or to attack, it is important to maintainthe spirit of fighting against enemies. Only when the missions areaccomplished, a player improves with ranking and individual powersunlocking more from the zarb e azb store.Feel the action:An action packed first person shooter game having blasts on thego.Gamers experience intense battle with armies exchanging guns andtank action.Revive your experience of battle fighting, raising your adrenalinerush viz. sniper shooting.Gaming modes:March through the Campaign or take up a Challenge to cleanupterrorists.A campaign mode offers mysterious missions distributed amongfifteen intensified levels.Battlefield:Now plunge into stunning environments inspired from the real warsituations. A player encounters different geographical terrainsranging from desert scenery to deep forests. Gamers will experiencedifferent climate conditions, making the mission difficult tochannel out.Win rewards and medals:Take on the daily challenge and win added rewards like handgrenade, medical kit, coins etc.Medals are allotted to gamers leading in their positions.Experience the 3D Game of power, strength, courage and energy.Download the game from the Google Play Store and be a part of amission protecting your nation against invaders. The ultimateobjective of fighting is to perform battle operations with freespirit. Celebrate victories, brave deeds and unsullied colors ofheroism and triumph. Serve your team with the never dying spirit:“Victory is your survival; survival is your victory” as you are thesoldier of Pak Army. Ready to play and save your country intheTanks battle warcraft 2016? Help your allies to win the battleandsave the companion places.Contains A lot of tanks, and a lot of fun.Fast paced 3D tankactionon your Android phone. Take out your enemies in the battleagainstcunning enemies and become the Tank Hero! 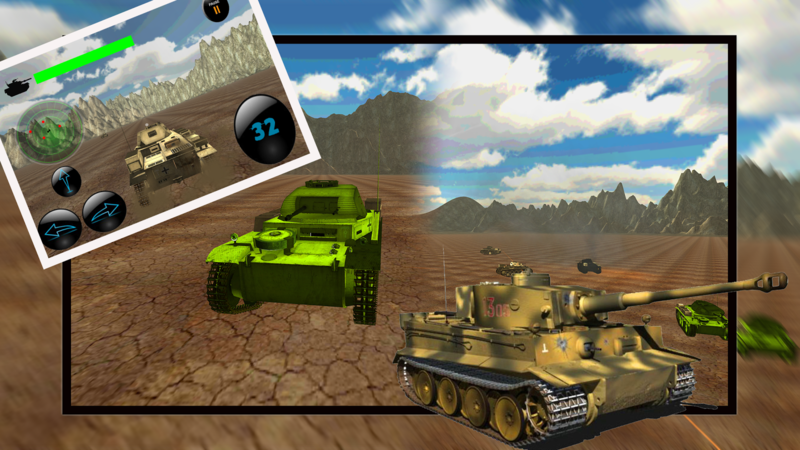 .Storm thefrontlineswith intuitive touch-screen controls built specificallyfor optimalonline mobile gameplay.Join up with your friends or make new ones to take onaction-packedT3E2 , alkett and panzer tank battles no matter whereyou are!Assemble your self and hit the battlefield together,putting yourstrategy and military might to the test.whatever thecost may be,fight on the beaches, fight on the landing grounds, inthe fieldsand inever surrender.Tanks warcraft battle features includes1) Nice 3D deserts and mountains environment.2) 3rd person smooth controls.3) T3E2 player tank against Panzer enemy tanks4) In difficult levels assisting Al Alket will help inthebattle.and many more..
Dar adil brings you most exciting CrushMania:Jewels Star game. It has two modes of playing Arcade andClassicwith almost 300 levels.This is completely free to play butsomein-game items no payment required.The Game consist of the following fascinating features. Enjoythelimitless fun. A 2d game containing the thrill more than 3D.1.Two Game Modes: Arcade, Classic.2.You can wipe out the surrounding gems to unlock thelockedjewel.3.By matching four you can get a fantastic Meggi Bombandlightning.4.By gathering five you can get a shading changing colors andtwobolts.5.The playing time can be increased by eliminating thetimegem.6.The surrounding gems can be eliminated by a Jewels bomb inonego.7.The lightning Jewel eliminate the gems in one line.8.Eliminating twenty gems constant can get a flash.9. Contains magical music in background. Wild Hunter Extreme 2016 is a stunningactivity pack sniper animal shooting amusement in the mostexciting,wild and beautiful jungle environment. Get your sniper orAk47 ,aim, test your expert marksman aptitudes, and don't let therhinos escape. The rhinos may be uninformed of your vicinity sotake your absolute best and turn into the master sniper shooter.Anexciting entertainment for boredom.You are a professional hunter with a special precise sniper gunto shoot furious wild animals.After being fed up with the usualhunting on foot, you are looking for a challenging hunt experience.You are hunting from a boat at a long distance range to shootrhinos.Aiming to shoot with a head shot.In this version you will behunting rhinos but in next versions you will be able to kill fastand dangerous animals like dear, lion, zebra, boar, rabbit, tigerand much much more.Hunting from the boat is challenging you will have to use yourarmy and special agent sniper long range shooting skills to killthese animals before they run away and are out of range.So Download and Enjoy!! !- HOW TO PLAY -1. Pivot your firearm around.2. Use focus at base left to zoom in.3. Use Scope to point the wolves.3. Tap Fire catch at base a good fit for shooting.- GAME FEATURES -- First Person Shooting (FPS)- Easy and Effective Touch Control.- Efficient Weapon Control and Zoom.- Realistic 3D Graphic and Sound Effects.- Real-time Hunting with Enemy AI (Artificial Intelligence).- Unlimited Bullets.- Unique and Epic Gameplay Missions. * Power Ups to Enhance and boost your gameplay! * Multiple game modes, standard mode to develop your skills andscore attack! * Leveling system gives you experience and points to spend onupgrades and power Ups! * New retro wave soundtrack featuring tracks from Flash Arnold andTommy! War Craft is an exiting and thrilling war game. Get ready to moveinto battle field with your Helicopter.Be careful,.. Carefully flyyour Helicopter and escape from enemy fighter jets, air planes androckets. Shoot the enemies and safeguard your territory.Touch &drag your Helicopter to move and as well shoot the enemies. A single player and cooperative multiplayer game of the classicWarcraft 3 mod.It's a game of 1 to 6 kitties working together toescape a dog-infested zone. The objective of the game is to reachthe end of the map, without hitting randomly-moving wolfes. If youhit a wolf you will be dead until another kitty revives you or tousing the options in the resurrect menu. Along the path are chestsof gold, and Safe Zones both of them give you points with can beused to up you kitty level.A single player and cooperativemultiplayer game of the classic Warcraft 3 mod.It's a game of 1 to6 kitties working together to escape a dog-infested zone.Theobjective of the game is to reache the end of the map, withouthitting randomly-moving Wolfes.If you hit a dead wolf you will bereliving kitty UNTIL ANOTHER you or to Resurrect using the optionsin the menu.Along the path are chest of gold, and BOTH of Them SafeZones give you with points can be used to level up you kitty.